Vegan Backpack. Made of quality micro-fibre. The back pack has two adjustable shoulder straps, a handle, a side pocket and a front pocket. You can close it with a very convenient clasp and adjust the width under the flap with an adjustable laces. Flower motif on the top flap and on the front pocket make this backpack very feminine. 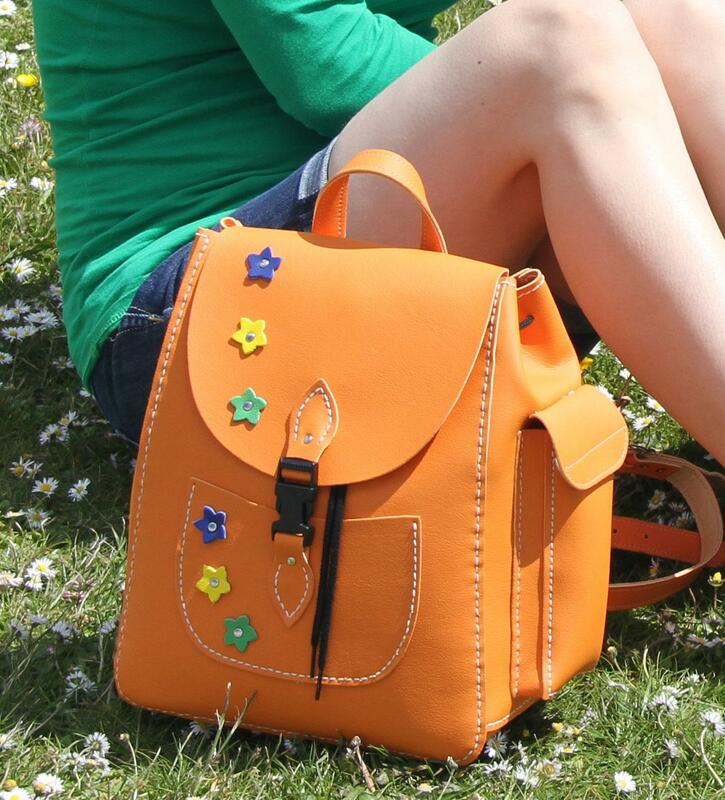 You can choose a different colour for the backpack and different flowers for the flap and the pocket. So be adventurous: make your backpack as unique as you are!